※ The first, greatest network game in the universe. 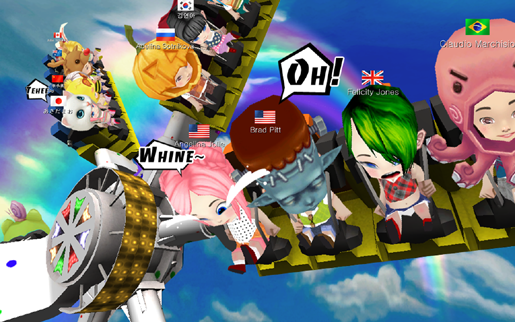 Go on rides for free with friends! ※ No more building rides and facilities! Just ride and enjoy them together! ※ Recommended for those who enjoy rides and love theme parks. 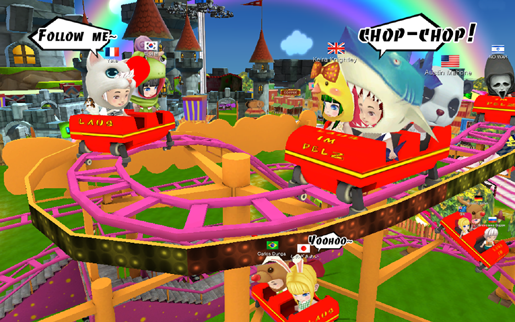 ※ A fun game to go on rides without long waits and tiresome moving around at no cost. 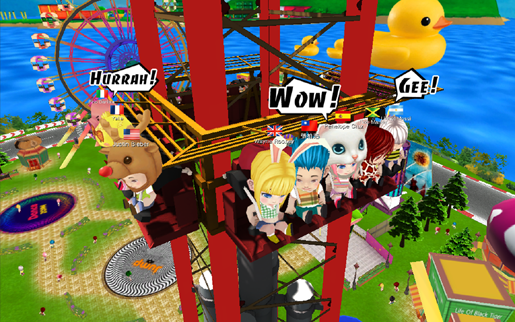 Theme Park Rider Online is a game where you can enjoy various thrilling and exciting rides for free with your friends from all around the world. 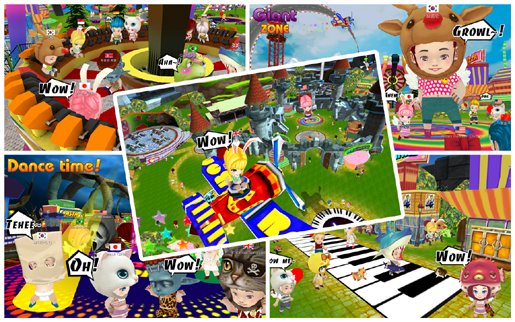 If you are ready to leave reality and escape to a fantasyland full of adventures and mysteries, explore this free face-paced mobile game, “Theme Park Rider Online!” Go! Go! Go! 1. 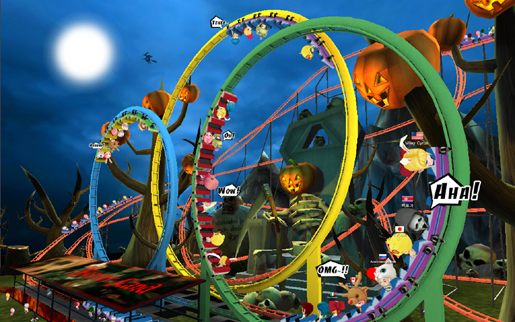 Popular rides such as rollercoasters, merry-go-rounds, bumper cars, gyro drops, flume rides, and many more are all gathered here. The best free game to enjoy everything at once. 2. 5 different mysterious theme parks including magic castle, ice kingdom, haunted island, the Wild West, and race town invite all of you. 3. There are not only rides! Various attractions are waiting for you: Giant Zone to transform into a giant, Zero Gravity Zone to experience zero gravity in the universe, and Dance Zone to dance with joy. Come and enjoy them! 4. Make your own cute, unique characters with more than 100 styling items such as a panda, Frankenstein, scream mask and hat, RC car, Optimus Prime car transformation item, Santa costumes for limited season only, and many others. 5. Anyone from those with acrophobia, the weak and the elderly who have a weak heart, short children, and to women afraid of scary things can all enjoy. No time to be bored. Have fun in Dream Land with your friends!